Last week I started a new theme, this theme is about all of you, all my readers worldwide.. all you people that came on this blog because of our similiaraties. I want to know as much of you all as possibe, that’s why I put up a poll ( thanks to all that allready voted), if I know what you like then I can use that as an input for this blog. What is it that has your interest in the hairfetishworld? You like to talk about your (home)salon expierences, in every detail? 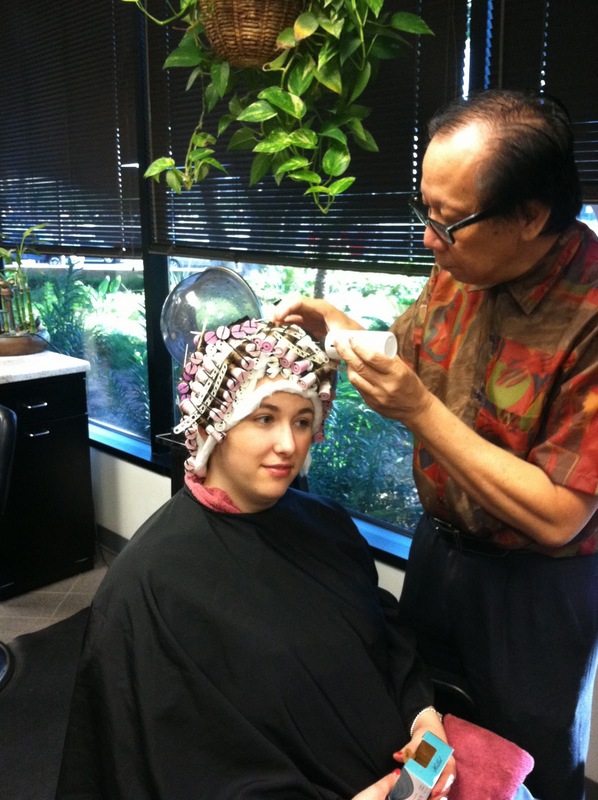 You like watching inside hairsalons when you are out of town? You just love being the one that get all the attension? It is so nice to sit back in a salonchair and having to get your hair done, from the washing place to the endresult everything is so nice. 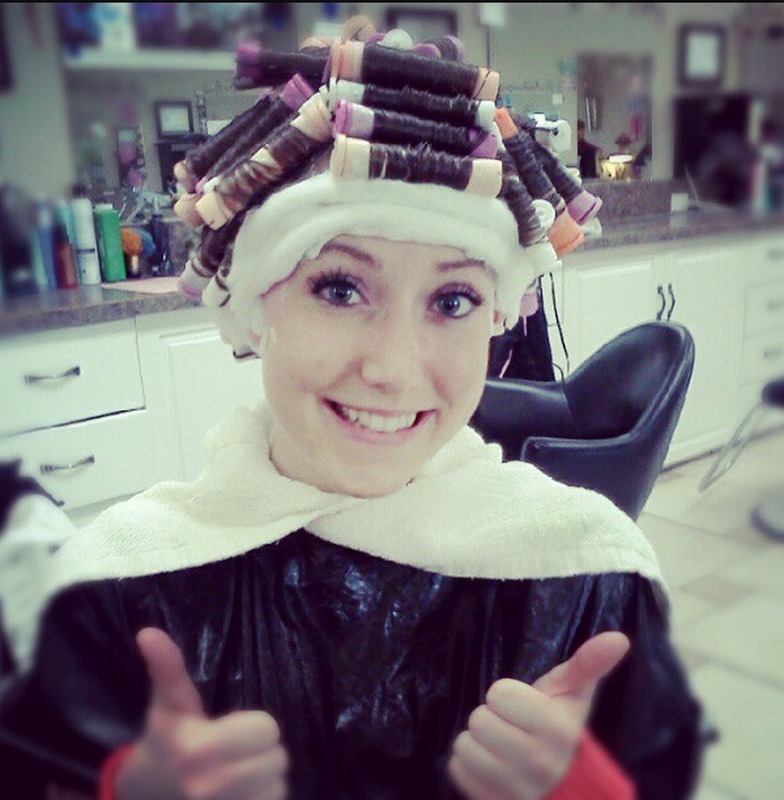 Some things can take several hours, with a perm for instance. 1,5 hours is allready a “fast” perm, students that learn to become to be a hairdresser have to be able to do a full permwind in 45 minutes or less, sometimes they allready have the hair divided into several sections. Take that 45 minutes, add some 15-20 minutes for the chemicals to work and some time with the washing then you see what I mean. So now I wonder what your fetish relating to hair is? What is your interest? What do yo like to see? or what would you like to undergo one day? What…? 15 years I have been on the Internet now with my feelings, and have a blog for more then 10 years. It brought me many new things to know, many nice to people to email with or chat with or webcam with even some to really meet with. One of the best things still was to be able to have met Kat Surth, what she does for our fetishworld is simply amazing. Hope to read many comments fro you all, greetings. Please come back on the 31th to read this weeks posting. 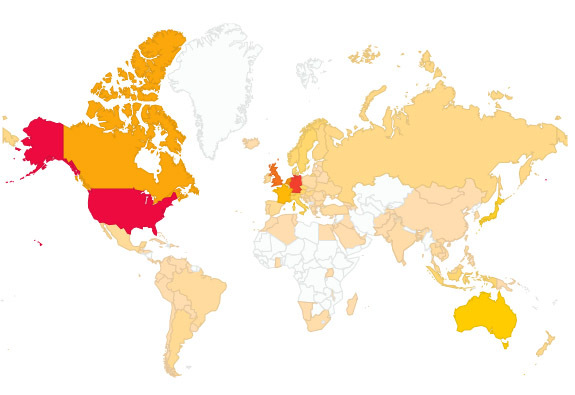 People from 127 different Countries have visited this blog, thanks. I hope in 2014 more people can better relate to their feelings etc and cope with these as I have done. 2014 is the year to stop with being a female-name on a screen or in emailadres and tell others who you really are, all those other things are sooooo 2013.